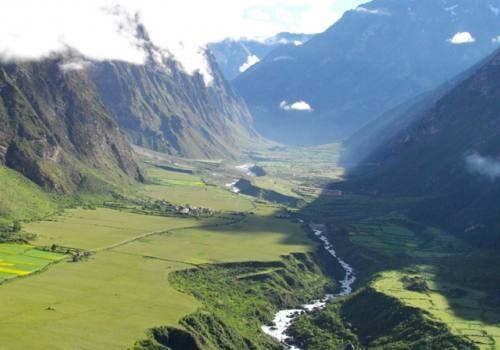 Manaslu region offers several routes to trekkers and mountaineers on its long ridges and glacial valleys. 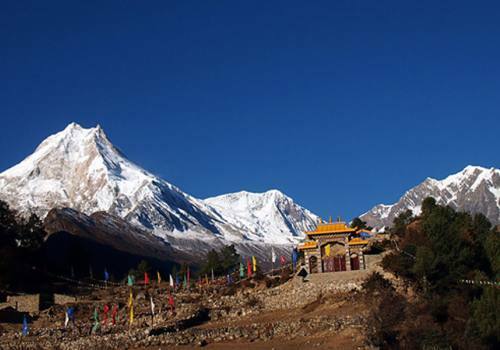 Larkya La 5213m pass trek and Tsum Valley trek are gaining its popularity these days in Manaslu region. Important peaks surrounding Manaslu include Ngadi Chuli, Himalchuli, and Baudha. 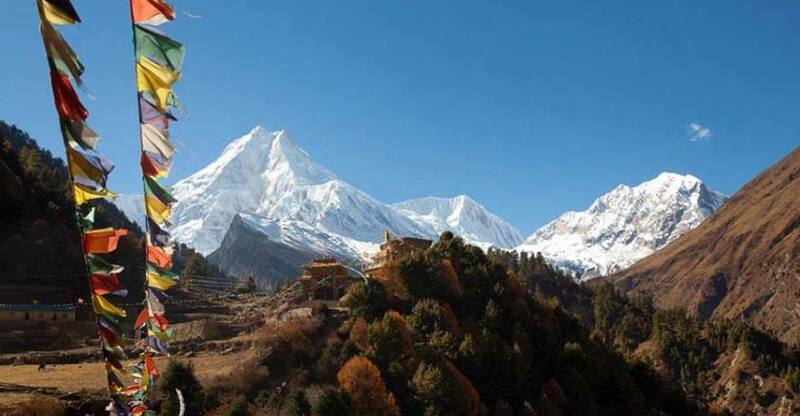 A popular saying, "Manaslu is a serrated wall of snow and ice hanging in the sky"Â describe itself the amazing facts of the Manaslu region. It is bounded on the east by the Ganesh Himal and the Buri Gandaki River gorge, on the west by the deep fissures of the Marysyangdi Khola with its Annapurna range of hills, to the south in the Gorkha town in the foot of the hill, from where trekking operates during the season. This is the shelter of 33 species of mammals including snow leopard, musk deer and Himalayan Thar, 110 species of birds and 3 species of reptiles and a rich eco-diversity over 200 species of pants.